The Linden City Council, at its 9 November 2015 meeting, unanimously approved a resolution presented by the Linden Heritage Foundation to help save the 1939 Historic Linden Firehouse. The building is located in downtown Linden on West Rush Street at the corner of Taylor Street. It immediately adjoins the site of the Historic Linden Water Tower. Aerial view of Firehouse showing collapsed section of roof. Photo courtesy of Kerry Wells. Under a prior resolution, the Foundation has been charged to help the City obtain landmark designation for both the 1934 Water Tower and 1939 Firehouse. The new resolution takes that responsibility a step further by authorizing the Foundation to step in and pull the Historic Firehouse back from the brink of destruction. 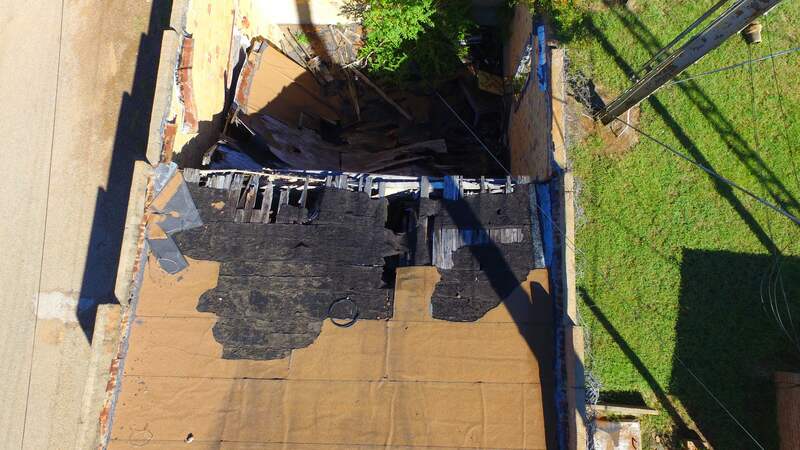 The current exposed condition of the building was presented in photographs which showed that the roof of the south section is open to major water infiltration while the roof of the north section has caved in completely. Interior view of Firehouse showing collapsed section of roof. Speaking on behalf of the Foundation, Joe B. Lovelace emphasized to Council members that both the Firehouse and plan for its future landmark designation are at serious risk from accelerating deterioration of the building. Lovelace went on to say that the most straightforward way to protect the building from the weather is by erecting a full cover. This strategy repeated the recommendation of Foundation President Sam Higdon made at a prior City Council meeting and was offered at no cost to the City of Linden. By adopting the two recent resolutions, the City Council agrees to convey the damaged Firehouse building and lot “as is” to the Foundation, subject to conditions outlined in the resolution. (For exact text of the agreement, see Linden City Council Resolution 9 Nov 2015 on our Documents page.) The Foundation will assume all future responsibility for the Firehouse and develop a workable plan for stabilization, restoration, and potential future commercial use. 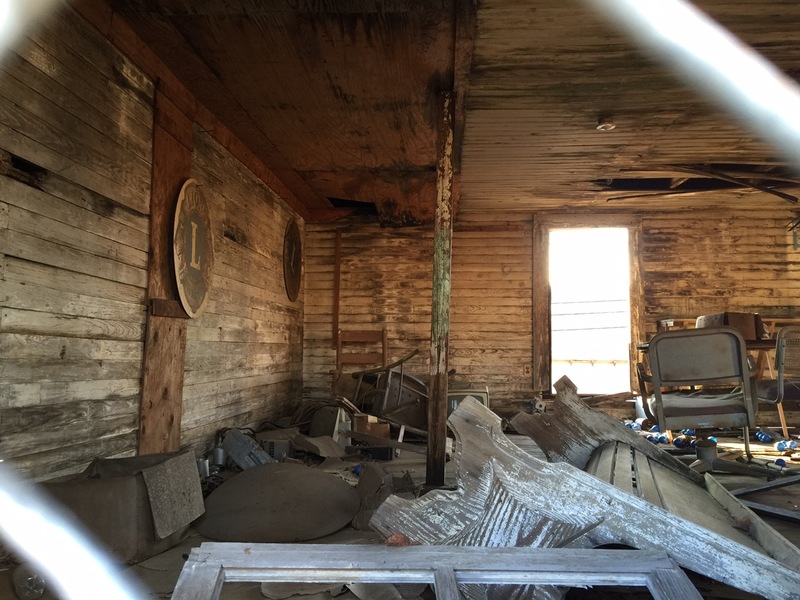 As part of this same Firehouse effort, the Foundation is exploring the options of placing the Firehouse on the Texas Most Endangered Buildings List and making application for a Preservation Trust Fund Endangerment Grant. 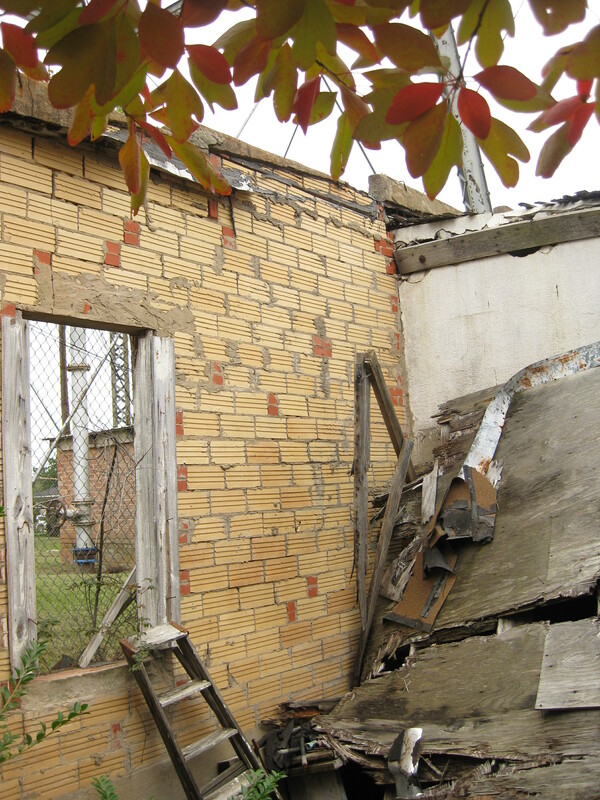 If awarded, such a grant would provide funding to help put the Firehouse in a structurally improved and dry condition. Congratulations! That is a step forward for our little town.